La Conner is situated on the Swinomish Channel and features a lovely shopping district with an assortment of vintage shops, restaurants, art galleries, and museums. Often ranked near the top as a romantic getaway destination, La Conner is about an hour from Seattle and two hours from Vancouver, B.C. 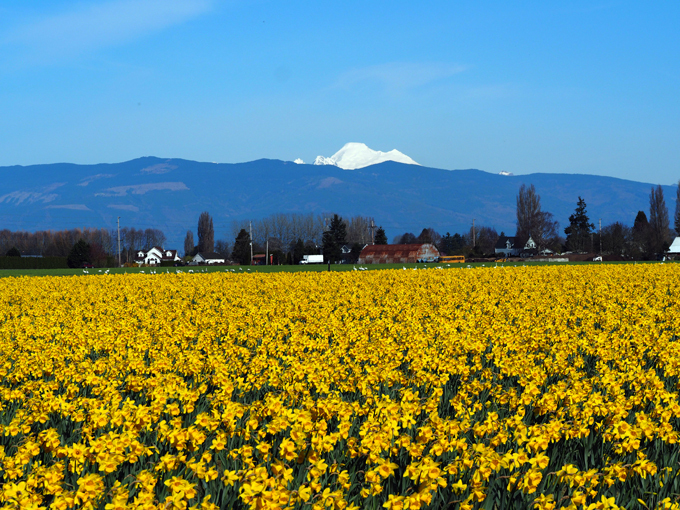 The annual Daffodil Festival brings visitors from all over the country during the month of March and short drive will provide bright yellow blooms as far as the eye can see, approximately 450 acres worth. The summer months bring live concerts on Sundays and classical concerts can be enjoyed at Maple Hall from October through April.